In the seventeenth episode of Youth Culture Killed My Dog, Roy Rogers, Jeff Kusterbeck, and Christopher Fannon return to podcasting for the first time in 2015! As we get get back into the swing of things we discuss Venture Brothers, the upcoming Marvel Comics continuity reboot, Life is Strange, the Telltale Game of Thrones game, Spider-Man moving the Marvel Cinematic universe, the Parks & Rec series finale, and Dragon Age: Inquisition. Stay with us as we get back into the swing of things with this whole “podcasting” business. In service of getting this episode available as soon as possible this episode is more lightly edited that previous entries (if such a thing were possible). In the eleventh episode of Youth Culture Killed My Dog, Roy Rogers, Christopher Fannon, Tyler Oyler, and Jeff Kusterbeck discuss the latest news and reviews in American pop-culture – comics, movies, and television. In honor the release of the fifth edition of Dungeon & Dragons we discuss everything D&D – the ups and downs of each edition, the role the game has played in our lives, the possibilities and pitfalls of DMing, THACO, edition creep, and much more. Also on the docket for this episode are discussions of Telltale’s The Wolf Among Us, the latest Super Smash Brothers announcements, and recent comments by the showrunner of NBC’s upcoming Constantine. In the tenth episode of Youth Culture Killed My Dog, Roy Rogers, Melissa Rogers, Patrick Colan, and Vanessa Rees discuss the universe of Nickelodeon’s Avatar: the Last Airbender and The Legend of Korra. Over the course of narrowly just under a hour we discuss the ins and outs of Avatar, the ups and downs of the first two seasons of Korra, how Mako is like Angel from Buffy the Vampire Slayer, Korrasami, the recent leaked episodes, and provide you with a detailed review of the first three episodes of Korra season three. 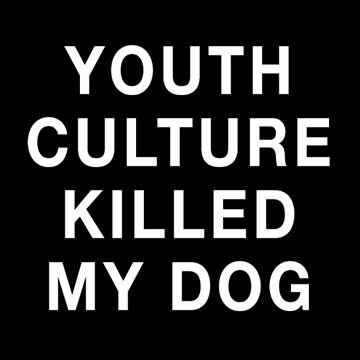 This very special episode of Youth Culture Killed My Dog is the beginning of a new regular feature! Through out the latest season of The Legend of Korra our KorraCasters will returning to discuss and review batches of episodes. Something to look forward to dear listerner.